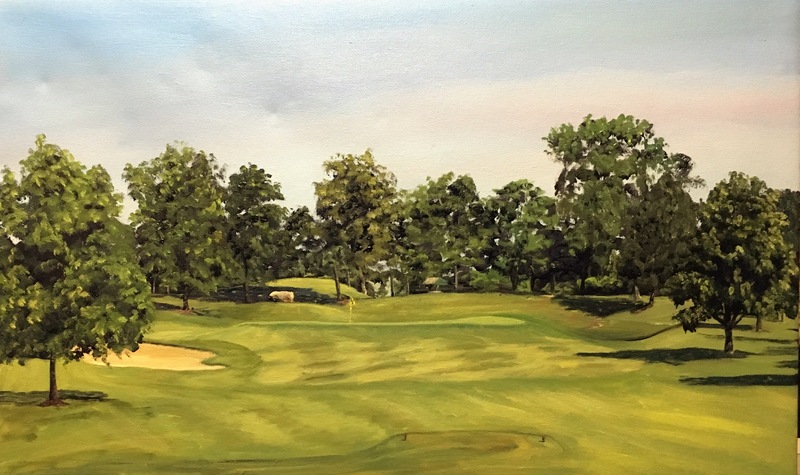 Finished this 16×24 inch commissioned piece of PB Dye’s (Pete’s Son) challenging par 3. Love this hole though the green and surrounds are brutal!! Posted in Art, Golf, Landscape, Oil paintingTagged dye, dyedesigns, golf, golfart, golflandscape, landscape, oil on canvas, oilpainting, UrbanaBookmark the permalink.